Ukraine President Petro Poroshenko says he intends to hold a referendum on NATO membership, while the alliance is said to have shelved planned talks on Ukraine’s missile defense over fears these could worsen relations with Russia. “Four years ago, just 16 percent [of Ukrainians] advocated NATO membership for Ukraine. 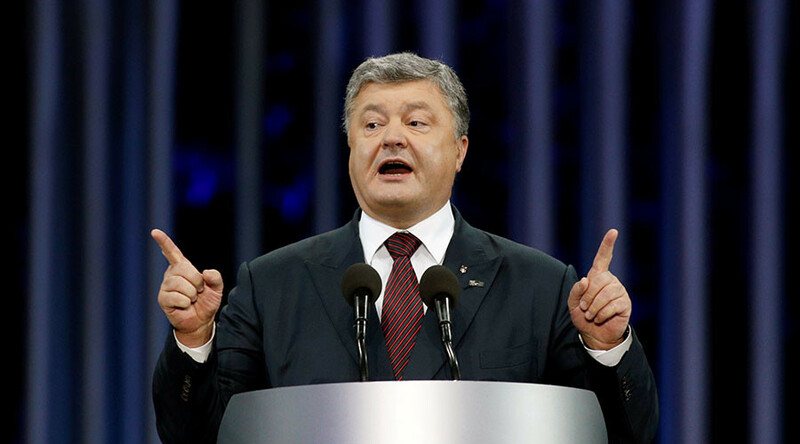 Now it is 54 percent,” Poroshenko said in an interview with German newspaper Berliner Morgenpost, published on Thursday. “As president, I will act in accordance with the opinion of my people – and will hold a popular vote on the issue of NATO membership. And if Ukrainians vote for it, I will do everything to secure our membership in the alliance,” Poroshenko said, adding that in his opinion the alliance “is indispensable” and “the only functioning organization of collective security” in the world to date. Meanwhile, NATO itself might not be so keen on strengthening ties with Ukraine. According to a new report by the Wall Street Journal, the alliance has recently postponed a planned meeting with Ukrainian officials regarding missile defense systems, allegedly to avoid provoking Russia. “There is some political sensitivity in the engagement of Ukraine because obviously that could fuel an overreaction by the Russians,” an unnamed NATO diplomat told the Wall Street Journal on Wednesday. NATO was considering meeting with Ukraine – as it has done in the past with Japan and European partners – to discuss the possibility of debris or an errant interceptor falling on the country’s territory, were the alliance to use its missile defense system stationed in nearby Romania. According to NATO officials, the bloc intends to use the system only to defend the allied nations and does not plan to intercept missiles headed to Ukraine. The NATO diplomat cited by the Wall Street Journal said the decision to put off talks does not preclude future discussions on the issue with Ukraine, although the bloc intends to move cautiously to avoid irking Russia. NATO’s missile defense system in Romania consists of a radar and a number of interceptors on land and at sea. It came under NATO full control last year, with officials repeatedly stressing that the system is solely designed for defense, mostly to intercept any ballistic missiles potentially fired from Iran. However, Moscow has viewed statements of this kind with suspicion, urging NATO to agree on limits to its missile shield, which set up dangerously close to Russia’s borders. According to the WSJ, officials familiar with internal NATO discussions claimed that as relations with Moscow were already tense, the move to discuss missile defense with Ukraine – Russia’s immediate neighbor – could be misunderstood. Reports contradicting the WSJ’s claims have also emerged. “We did not cancel any negotiations with any country whatsoever,” an anonymous alliance official told RIA Novosti. Apart from NATO broadening its missile defense, the alliance and Russia have been increasingly at odds over the bloc’s general military buildup in Europe. In the latest move, US troops and heavy weapons began arriving last month in Europe as part of ‘Operation Atlantic Resolve’, a mission designed to curtail a perceived ‘Russian threat’ to Europe. Eighty-seven US battle tanks, 144 Bradley fighting vehicles, and 3,500 soldiers arrived near Russia’s borders as part of the buildup agreed upon at the alliance’s summit in Warsaw last July. 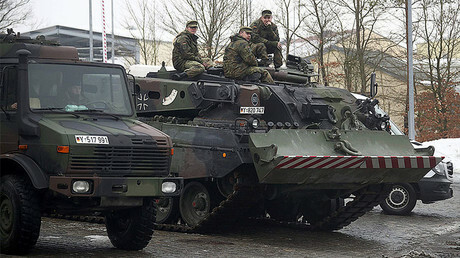 NATO has also been holding military drills ever closer to Russian territory, most recently in Poland and Lithuania. This policy towards Moscow, repeatedly slammed by Russia as a threat to the country’s national security, has been growing in scale since Crimea voted to split from Ukraine and rejoin Russia in a referendum in the wake of the Ukrainian coup in 2014. NATO supported Ukraine's coup-instated government over the issue, and still considers the Crimea transition an annexation. Furthermore, NATO and EU countries also imposed an array of economic sanctions on Russia’s banking, energy and defense sectors, to punish Moscow for the Crimea transition and its alleged, but never proven, support of the anti-government rebels in east Ukraine. These were recently extended for another six months, despite negative reactions from Italy and France. In his interview with Berliner Morgenpost, Ukraine’s President Poroshenko urged for sanctions to remain in place, as they are allegedly the only thing keeping “Russian aggression” at bay. “Do you know who wants the lifting of the sanctions most? President Poroshenko. But before that, Russia must withdraw all its troops from our territory so that Ukraine can restore its territorial integrity and sovereignty. A premature loosening of the sanctions would strengthen the Russian aggression against Ukraine – putting Europe at risk. Who knows where Putin would next want to help a Russian minority? In the Baltics? In Bulgaria? Or maybe in Germany? “The sanctions work. 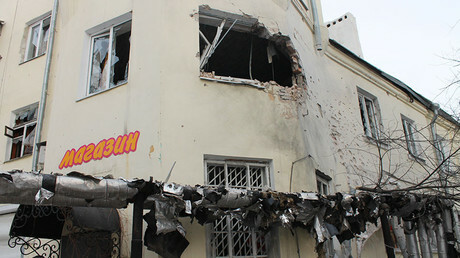 Russia pays a high price for its aggression. The standard of living has fallen considerably, the Russian currency is losing its value. It is the sanctions that will keep Putin at the negotiating table and will force him to fully implement the Minsk Accords,” Poroshenko said.